The Supreme Court’s support for the Trump travel ban is a failure in checks and balances. That’s all you need to make a joke of our country’s checks and balances. 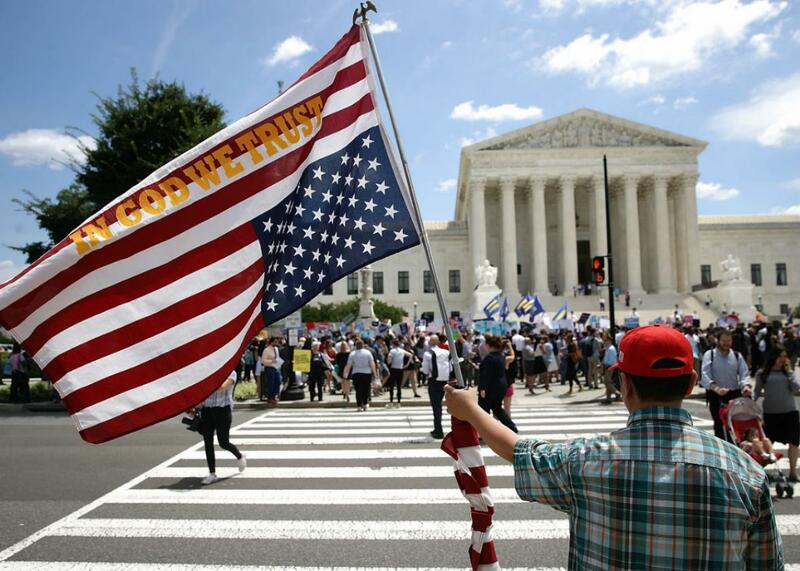 A man bearing an upside-down American flag watches as protesters gather outside the U.S. Supreme Court on Tuesday. On The Gist, what a Trump tweet can teach us about wine. The latest school shootings have galvanized an already politically minded generation. Harvard’s John Della Volpe studies the voting habits of millennials, and how they could swing election results in 2018 and beyond. In the Spiel, the Supreme Court’s support for Trump’s travel ban is what happens when our checks and balances fail.